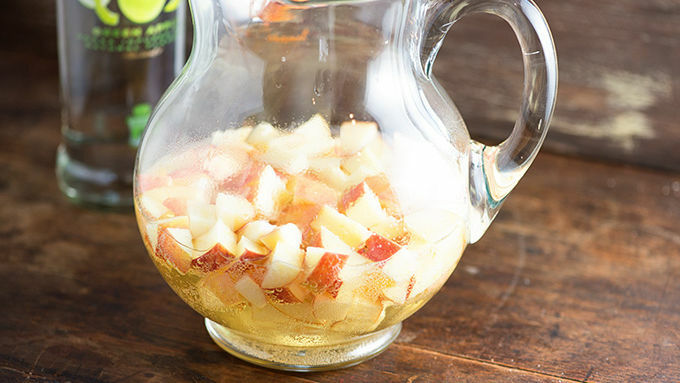 Add the apples, wine, apple cider, green apple vodka, and caramel vodka to a large pitcher. Stir to combine. Add the cinnamon stick. Let mixture set in the fridge for 8 hours. Stir the club soda into pitcher just before serving. Pour into wine glasses. 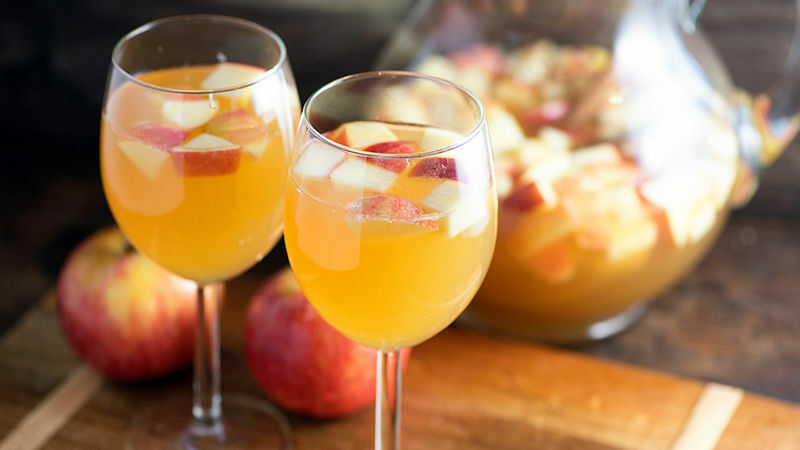 Celebrate the season with this Fall-inspired drink! You know, there are a lot of people in this world who have a deep and abiding love for the almighty apple pie. I happen to be one of those people. I mean, I’m an American. It’s basically my duty to consume apple pie as often as possible. Then again, pie is fattening. And difficult to make. And it generally doesn’t get me drunk. I definitely like it when things get me drunk. Sooooo, let’s go ahead and turn America’s favorite pie into sangria. ‘Tis the season, after all! 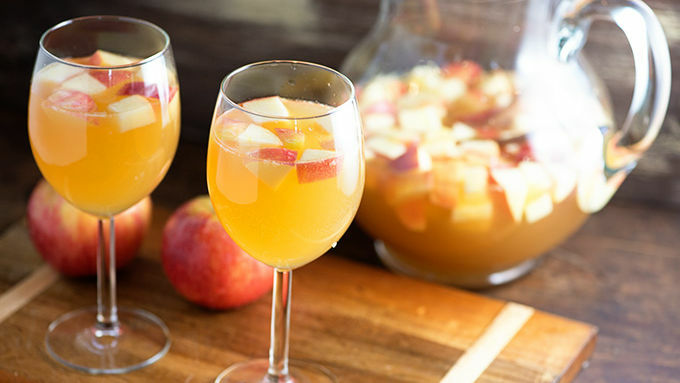 I like Moscato for this sangria, but you can probably get away with whatever sweet white wine you favor. I also went with a mixture of caramel and green apple. If you can find a bottle of caramel apple, it’ll save you some money. Or you could just do all caramel or all apple. Basically, you can’t mess this up so just do what you want. I’m just here for support. Drink up, friends!